This spring we have six wonderful seniors graduating and pursuing careers with a variety of degrees. We would like to take a moment to highlight their accomplishments, share memories, and announce their future plans. We are so grateful to all that these six individuals have given to the team. 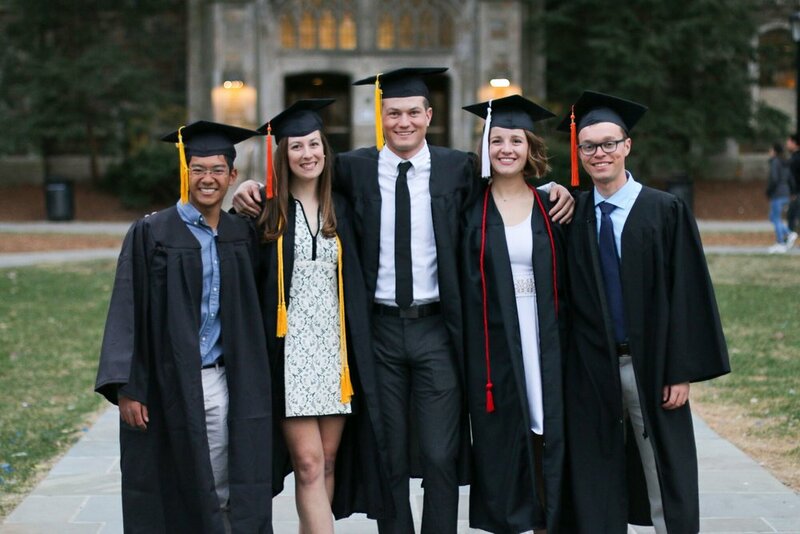 We wish them the best of luck after graduation and look forward to seeing them around Ann Arbor in the future. Mike graduated with a degree in Microbiology. He joined the team his freshman year and has been an invaluable member ever since. Not only is he a crew, Mike was on the Executive Board last year, as the social chair, and this year he is a member of the communications committee. In his four years on the team, Mike has accomplished a lot. But the one moment that he is most proud of is his first-place finish in the 2017 Match Race Quals. In his words “It was an awesome feeling to come back a year after getting third place and win the whole thing. Match racing is already super fun on its own, and to qualify for nationals during my last year on the team was a great feeling". Sailing is a demanding sport, and Mike understands that it is important to learn how “to be comfortable with the uncomfortable”. There are many times when the conditions are rough or nothing is going right. But his one piece of advice is to “be tenacious and don’t be afraid to mess up”. Even though Mike is leaving the team in a few short weeks, he won't be going too far! After receiving a degree in Microbiology, Mike will start his Masters in Public Health here at the University of Michigan. So even though he will not be on the team anymore, his guidance and love for the team won’t be too far out of reach. The four years he has devoted to the team have been special, and the team certainly will not be the same without him! Colton Gerber graduated with a degree in Naval Architecture and Marine Engineering. He has been a part of the team since his sophomore year, and he has competed in a plethora of dinghy and keelboat regattas across the country over the past four years. Colton has been an admirable leader on the team, as he is always willing to give advice to other sailors and use his expertise to better the team. He is constantly improving upon his own skills and helping our team to compete at the highest level. 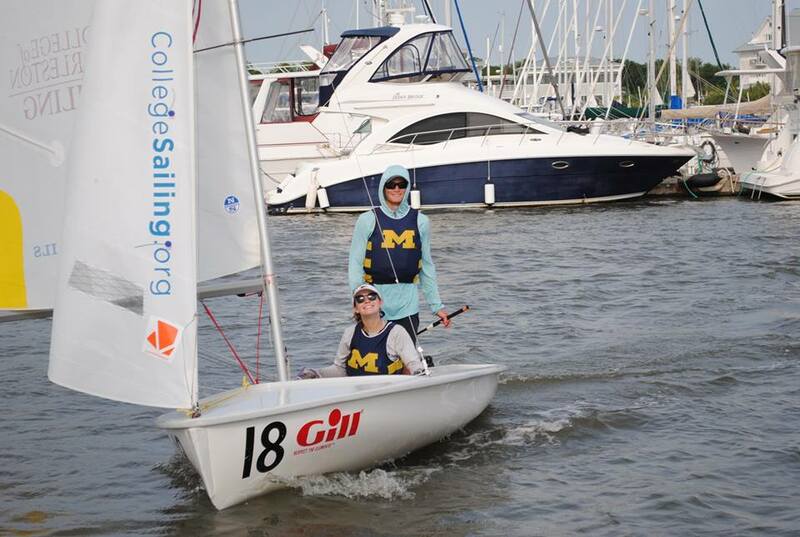 This year, Colton was on the match race team that won MCSA Match Race Quals and ultimately competed at nationals. Last spring, Colton was a skipper at Coed Nationals at the College of Charleston. Next year, Colton will be serving in the United States Navy as a Naval Aviator. We will truly miss Colton’s presence on the team, and we are so proud of all of his accomplishments. Charlie Rogers graduated with a degree in Computer Science. He started on the team his freshman year, and has been an integral member to the team ever since. After his first season on the team, Charlie was elected the team Rec Sports Chair. The next year, he was the team Treasurer. In both positions, he worked incredibly hard to maintain our team’s success and organization. Aside from his executive board responsibilities, Charlie competed in many dinghy and keelboat regattas. This summer, Charlie will be finishing his last few degree requirements at a summer study abroad program in Shanghai, China. Then, he will be working as a Software Engineer at Pure Storage in Mountain View, California. Charlie has been such an active member of the team for the past three years, and the team congratulates him for his success! Sydney graduated with a degree in Economics with a minor in Food and the Environment. After joining the team her freshman year, she has been an active member, competing in a variety of regattas and serving on the executive board as the Media Chair. She is a very talented and experienced crew, and she has helped our team to qualify for and compete at Coed Nationals. She continues to be a role model for all crews on our team, and she continually tries to improve her own skills. After graduating, Sydney is planning to travel to South Asia in May and spend the summer in Ann Arbor. Then, in September, she will move to Madison, Wisconsin to work for Epic in QA. We are so proud of all of Sydney’s accomplishments and will miss her vibrant personality on the team next year. Lane graduated with a degree in Industrial & Operations Engineering. Lane has been on the team since her freshman year, where she became active quickly after running for Short-Term Fundraising Chair. Her role in team fundraising is immeasurable. She also served two terms as Co-Captain alongside Mason Wolters. Lane has been an valuable asset to the team. She has played a huge role in both Coed and Women's Events, qualifying for Women's Nationals in the A Division the past two years. 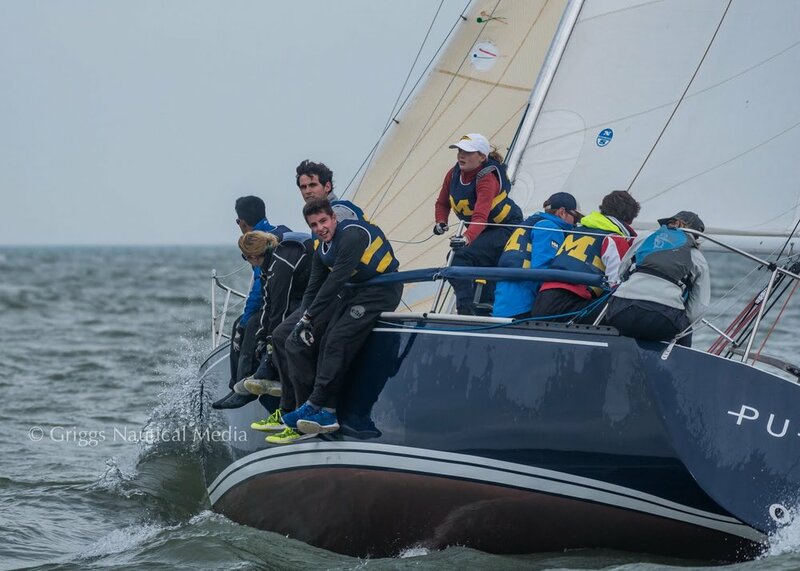 Additionally, Lane is one of our top Keelboat Skippers, having competed in Kennedy Cup the past three fall seasons. Some of Lane's highlights on the team include developing friendships with Syndey her freshman year, and Amy, who she has sailed with the past three years - a boat they have named 'public indecency'. She recollects times of bonding with fellow seniors throughout her time on the team, especially her Co-Captain, Mason. 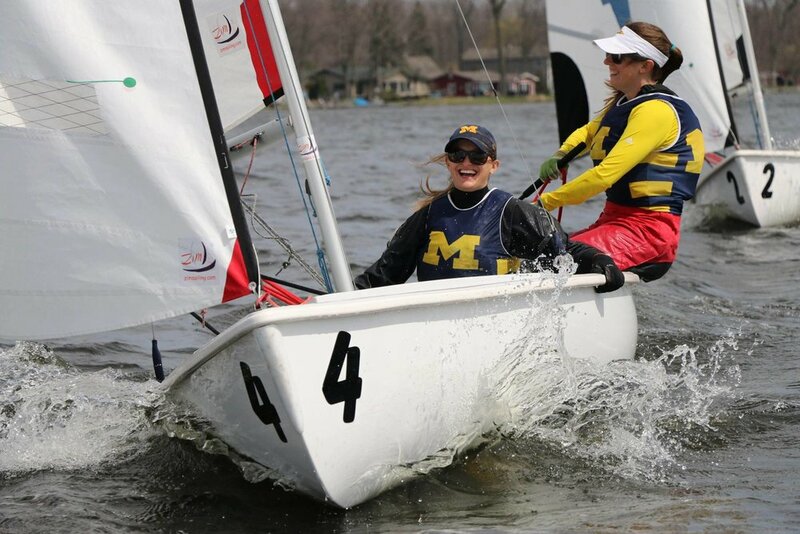 With respect to sailing, she treasures the sailing at Coed and Team Race Nationals, and winning Match Race Quals twice. Additionally, a race at Kennedy Cup where she horizoned the fleet in the final race, and spinning out twice during Women's Quals but catching two lifts to win the race are some of her favorite memories. Lane's legacy will not be soon forgotten, as she has been an incredible role-model for all team members who have sailed under her rein. However, she advises getting involved and signing up for regattas, as the team has given her some of her closest friends as well as the opportunity to travel and develop her sailing skills. Lane will be moving to Seattle for work, and will hopefully be buying a boat! We wish Lane the best and want to thank her for everything she has done for the team. Words cannot express how grateful we are for her contribution to our program - both on and off the water! Mason graduated with a degree in Computer Science. Mason has been on the team since the very beginning of his freshman year! He served two terms as Co-Captain alongside Lane Tobin and has been a valuable member of the team. Mason's sailing performance is not limited to FJs and 420s. 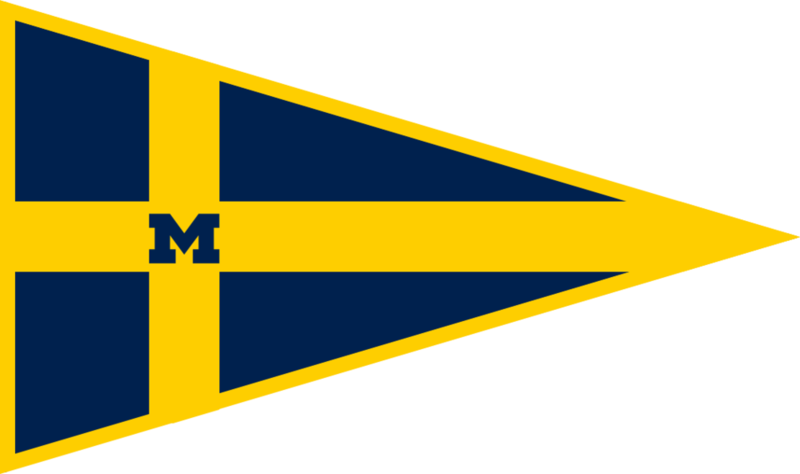 He played a huge role in Michigan's First Place finish at MCSA Match Race Championship as a skipper, and has also competed in his fair share of Keelboat Events. Mason advises to current and future team members to "enjoy your time on the team because it goes faster than you think". He will miss traveling every weekend with his friends to sail and compete. Mason's next step is moving to LA to work at a startup.